We aim to bring a connection to nature back into the lives of children in a way that is engaging, educational and fun. Once at the end of the adventure we might discover anything, from fairy villages to leprechaun’s gold, wildlife and even sleeping dragons. * Please be warned that whilst taking part in these sessions you may be exposed to a great deal of magic, exploding potions, powerful wands, hairy trolls, sneaky fairies and rocket launching satellite navigation systems! This session will equip you with a wealth of new ideas, activities, games and crafts, that will fill your pockets with loads of fun things to do, which are both easy and practical. Adam Dove has over 10 years experience in the outdoors. His qualifications include: a BA Hons degree in Outdoor Education and Adventure Recreation: Level 3 Forest School Leader award; and various outdoor pursuits qualifications. His knowledge has been extended through hands-on experience and attending courses in mountain leader training and bushcraft survival skills. 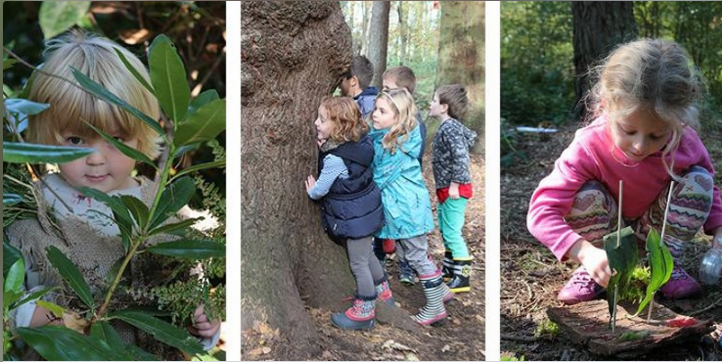 Experience includes, designing Forest School and Outdoor Education programmes for various settings including, children’s parties and holiday camps. He has also trained other professionals in the field of outdoor education. In 2011 he started Bushbabies Woodland Adventures to develop outdoor educational programmes that utilised his experience and inspiration. In 2015 he published his first book, The Woodland Adventure Handbook, which details how any adult can set up and run themed adventures for young children in an outdoor setting. His hope is that through contact with nature along with the power of imagination, children can be inspired to see the magic of the outdoors leading to increased joy and wellbeing. Payment: Payment can be made by credit/debit card, cheque or invoice.